Wes Craven’s 1984 classic A Nightmare on Elm Street starts out in the midst of a full force nightmare and, in my opinion, never leaves it. The story is set up like sleeping is dangerous and the characters attempt to stay awake to stay alive. Often times it is hard to sort out if the characters are awake or not, but there is evidence that the entire story is all a dream (or nightmare) from beginning to end, and no one ever wakes up. On the first day, after the beginning nightmare, there are a group of young girls in white dresses playing jump rope and singing a rhyme about Freddie; “One, two, Freddie’s coming for you…” There is also a strange mist in the air. 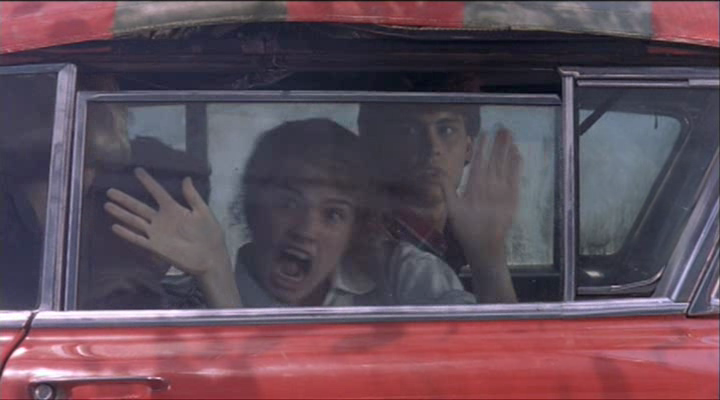 This same group of girls and mist are also seen in the ending scene where the car is possessed by Freddie and all the dead characters are back. The sing song voices and misty appearance presents an obvious dream-like quality. 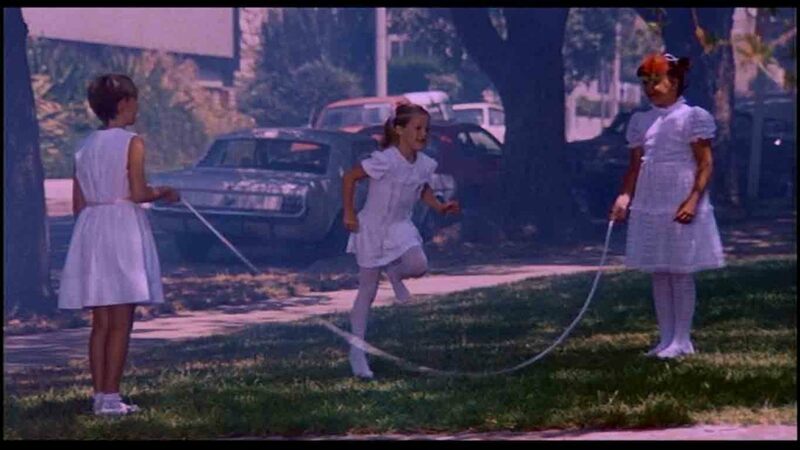 The fact that the older kids are on their way to school, but the younger children have time to play jump rope, indicates that things are out of place, a common element in dreams. The idea that the little girls would be out playing in white dresses is also out of place in reality. 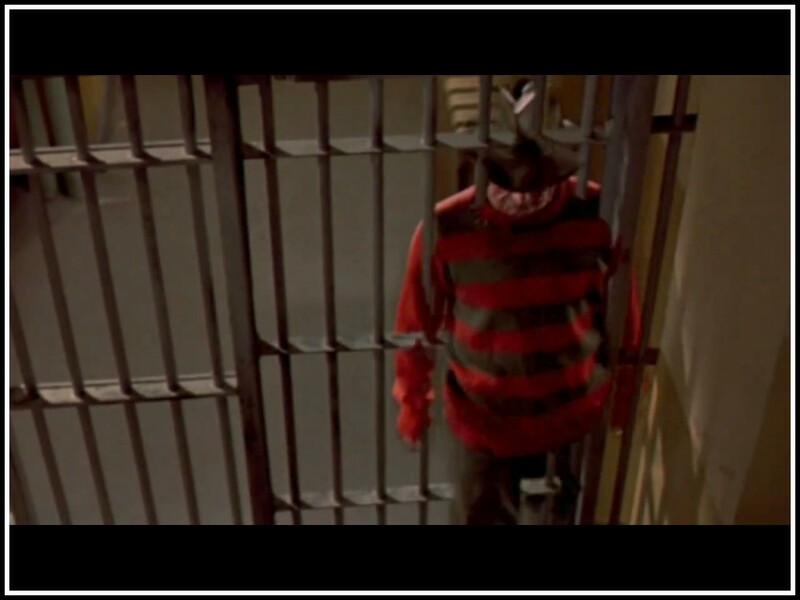 Another hint that the whole thing is a dream are the inconsistencies as to when Kruger is visible and when he is not. When the first girl is killed by an unseen force while her boyfriend watches, it seems to set up the rule that if someone is dreaming that person can see Kruger but people watching what is happening who are awake can not. When Nancy is saved by her alarm, it sets up the rule that if someone wakes up while fighting Kruger that person is safe. Later both of these rules are broken. 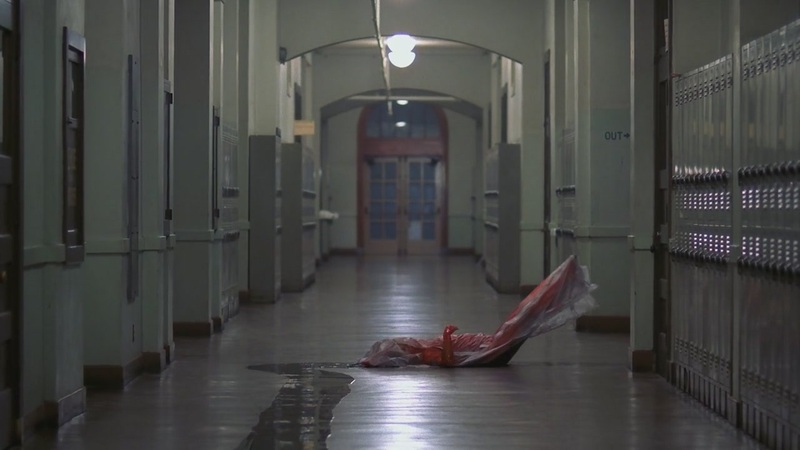 When Nancy sees her friend dragged down the school hallway (obviously a dream) she can not see Kruger doing the dragging, and when the sheet is tied around the neck of the boy in jail, no one but the audience is there to watch, he does not see Freddie, and when he wakes up it does not go away. All of these things seem to indicate that he is in someone else’s dream. Zinoman points out that the darker tones of the New Horror movement reflects the fears and problems that youth face (75). The ambiguity of the dream world in Nightmare seems to correspond with the paranoia that Zinoman addresses. Craven’s own rejection of his religious upbringing (72) added to the cultural rejection of authority creating a piece of work that says, You can’t trust anyone or anything, even your own eyes.